Puff Daddy's Bad Boy reunion tour is doing more than bringing some of the biggest names in 90s Hip Hop back together, with the music mogul inviting gospel musicians on the tour as well. Isaac Carree, 43, and Zacardi Cortez, 30, are singing background vocals on the Bad Boy Family Reunion Tour that reunites entertainers Puff Daddy, Lil Kim, Mase, Faith Evans, Mario Winans, Total, Carl Thomas, 112 and The Lox in venues around the country. Carree has taken to Instagram to repost messages about his 13-hour tour rehearsals with fellow background singers Andrea "Latrelle" Simmons, who has written for the likes of Destiny's Child and Monica, fellow singer-songwriter Keisha Renee, and fellow gospel musician Cortez. Cortez went on to repost an Instagram video of him singing about Jesus, which was posted by songwriter LaShawn Daniels. "Everything We Do We Bring The POWER Of The HolyGhost," Daniels wrote before tagging Cortez's Instagram page. "@cardikee #ChurchBoyz #Trusted #BadBoy20Years #badboyreunion." It may come as no surprise to some that Puff decided to tap into gospel music influences on his tour. The record executive and recording artist spoke about using the concert to glorify God. "I give all glory to God for this opportunity to come and see all of our true BADBOY FANS LIVE AND IN CONCERT! I want to thank all of you that have supported us over the last 20 years," he wrote in an Instagram message reposted by Cortez. "It's truly been a journey and a blessing! God is the GREATEST!" 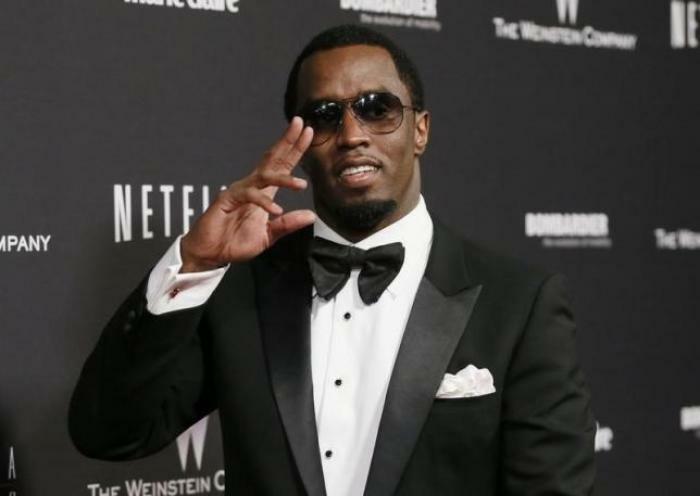 The Bad Boy Records founder Sean Combs, who goes by many monikers like Diddy, Puffy, P.Diddy, Puff Daddy and Puff, explained why the Bad Boy Reunion tour was more than just a show. "This isn't just a concert. This is a moment in hip hop and R&B history," Puff said in a statement. "The Family and I are so excited to welcome fans into this once in a lifetime experience. This tour is 20 years in the making, and is a celebration of the hits and the Bad Boy lifestyle." For the Bad Boy Records CEO and recording artist, Puff Daddy revealed that he had roots in the church community since childhood. "I liked going to a Baptist church with my grandma; she was the one who really put me up on God," Puff previously shared, according to an Ebony report. "I don't go to church every Sunday, and I'm not overly religious, and maybe I'm not the best person to do this album, but I want Thank You to be an album from the average person's point of view to get our message across. Not all the artists are Bad Boy artists, but they're all part of the family."